Victorian planning minister Richard Wynne has called for a nationwide ban on combustible cladding. The announcement, which was made at the commonwealth building ministers’ forum in ­Hobart, comes after a Melbourne CBD apartment tower covered in flammable cladding caught fire on Monday. 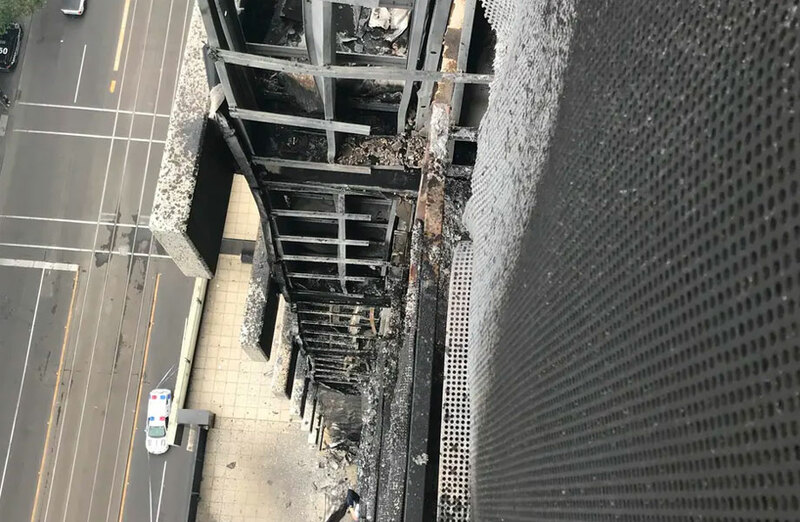 Firefighters said the blaze at the 40-storey Neo200 apartment tower was caused by a discarded cigarette on an apartment balcony, which then was fuelled by the building's cladding. 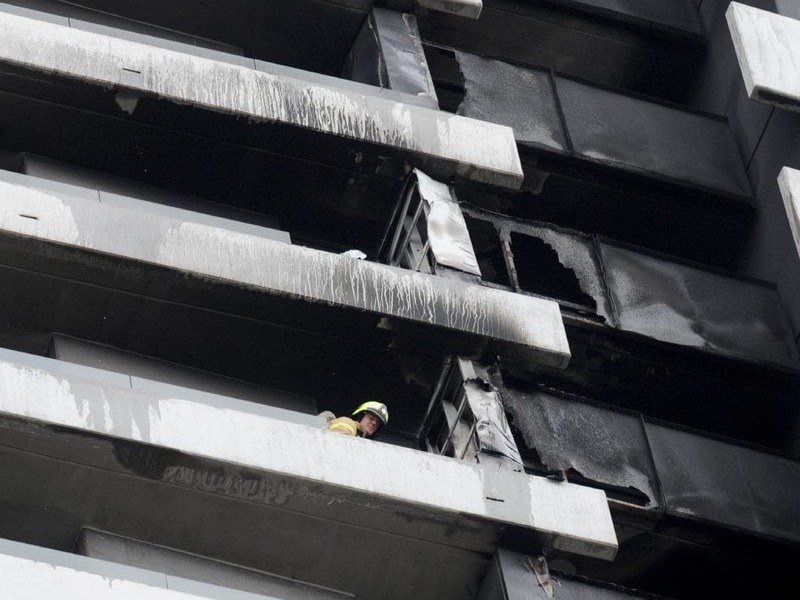 Metropolitan Fire Brigade (MFB) chief officer Dan Stephens said crews believed the building was clad with similar materials to that on London's Grenfell Tower, in which 72 people died in a fire in 2017. The apartment tower, located on the corner of Spencer and Little Bourke Street, had previously been identified as “moderate risk” owing to its cladding. The tower was one of more than 2,000 inspected by the Victorian Building Authority. Earlier this week, Wynne conceded he was yet to appoint a state building inspector, despite promising to do so over a year ago as part of measures to address flammable cladding. “Victoria has pushed for a national response to flammable cladding ever since the 2014 Lacrosse fire but has been met with frustrating resistance from the federal government,” Wynne said. The Victorian government has refused to release its list of 360 high-risk buildings its cladding taskforce has identified including apartment towers, schools and hospitals. Minister Wynne said publishing the list could prompt arsonists to target affected buildings. Premier Daniel Andrews said the cladding taskforce, created after Melbourne's LaCrosse building caught alight in 2014, had paved the way forward to reform. Last year the Victorian government set in motion a scheme to enable "cladding rectification agreements" in order to provide a low-cost financing option to help owners remove dangerous combustible cladding from their properties. Despite these measures, aluminium composite cladding remains on the market and Minister Wynne said the federal government had a critical role to play in ensuring the building products coming into the country are safe and compliant. “We’ve seen how quickly fires spread up buildings fitted with combustible cladding and we have a responsibility to stamp out these sub-standard building materials,” Wynne said.